The Basel Chapter is delighted to invite you to the annual INSEAD Art Basel experience with tours and refreshments kindly sponsored by Audemars Piguet and Davidoff Cigars. We are excited to announce that this year’s INSEAD Art Basel experience will once again feature activities sponsored by Audemars Piguet and Davidoff Cigars. You are invited to stop at the Davidoff Cigar lounge anytime during your visit to sample a drink, a Davidoff cigar, or both. 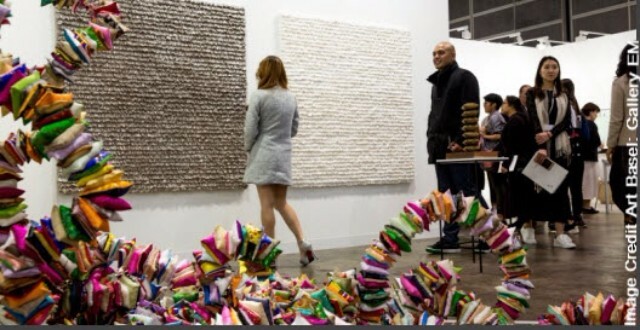 We have also arranged four one hour tours of highlights of Art Basel 2016. You can register for one of the four tour groups (limited to 10 people per group) when buying tickets. All tours start with a cocktail at the Audemars Piguet lounge. We look forward to welcoming you to Basel in June! All tickets are valid for exhibition entry anytime during the day. When reserving tickets, you will be asked to select one of the 4 guided tour times. All tours are in English. They begin with a cocktail at Audemars Piguet Lounge.